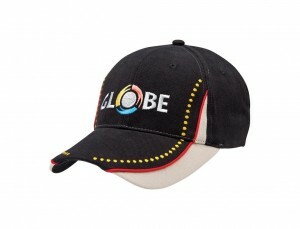 Baseball Cap with Indigenous Design comes with a structured crown and made from heavy brushed cotton. This cap has a stylish indigenous design trim on both the peak and the front left and right panels of the cap. We can custom make this cap to any colourway with a minimum of 100 units. Decorate with an embroidered logo.